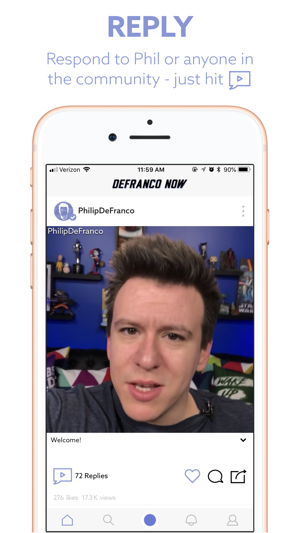 From multiple award-winning news host Philip DeFranco comes DeFranco Now - an app for sharing YOUR voice in the world of news, pop culture, and entertainment. 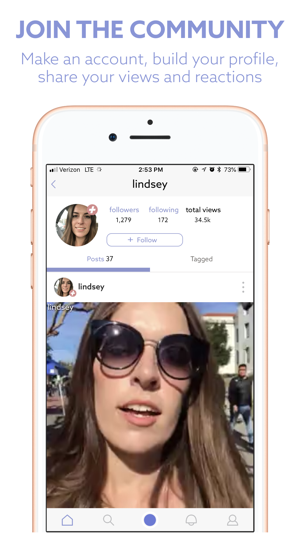 DeFranco Now lets you react, respond, or join a conversation with videos! Share your thoughts, questions, and opinions on what matters to YOU. - Suggest stories and topics for Phil to cover in the PDS. - Respond to posts from Phil and his team with your own thoughts and opinions. - Be a part of exciting new content integrating your DeFranco Now videos. - Engage in a conversation with people from all over the world. Several bug fixes, including fixes for the new mute/unmute controls. Personally I think this app is a perfect way to expand on the “this isn’t just a show, it’s a conversation” mentality that Phil always pushes. That being said, I know this app is still in the development stages and in some cases it really shows. The biggest annoyance for me is the fact that the videos are not in chronological order on the feed. This makes it difficult to find new posts as the order is somewhat random. Additionally, the navigation is a little confusing. The UI should be somewhat differentiated when I am viewing a topic post, update post, or reply post but they generally all blend together making it hard to follow a certain topic. Finally, something I think would be a nice feature to add would be the ability to reply to people’s replies. 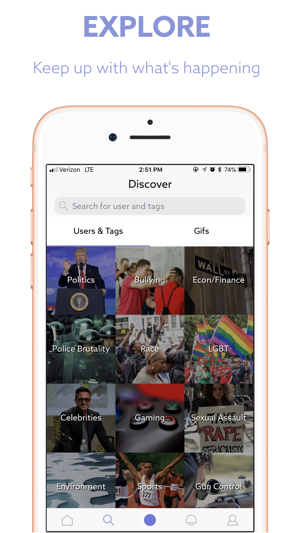 Whether it is text or video based, I think it would allow for further development of ideas and more collaboration among users. 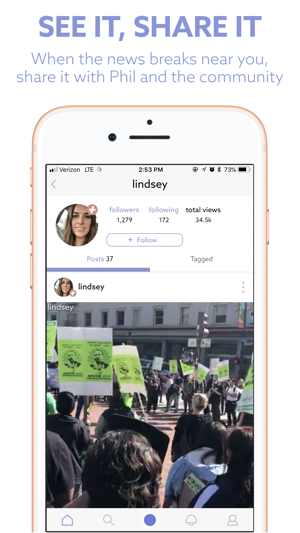 Allowing users to turn it on or off on their posts would allow people to still remain comfortable posting their opinions without the fear of negative replies. I am completely enjoying the new way of how the app works there are “people” while errors while we learn. As for the reason I downloaded and am enjoying is because I know that PhilipDefranco listens and wants it to work so will be listening to the comments and have those who cans and know how will get on. It’s early days. I think Unlike Snapchat FB instagram I think this app will be updates due to people’s wants as opposed to the updates of other apps where whatever one asks for is the only thing they didn’t give their customers. So I have hope that this can become a great new way that by putting faces to opinions and voices that we will get more honest responses kinder instead of what text can’t provide. 1)The videos I’m trying to record somehow slows down the timing to the point I can see the first 2 seconds of it and had to use the phone camera to import it to the app. 2) When I watched videos of people the video itself sometimes stutters due to probably having to restart a little bit of that section of the video(like going back a milliseconds of a 7 second section of that video). But anything aside that it’s going really well and that app would be way much better if you guys fix this problem. hitRECord — Are we recording?